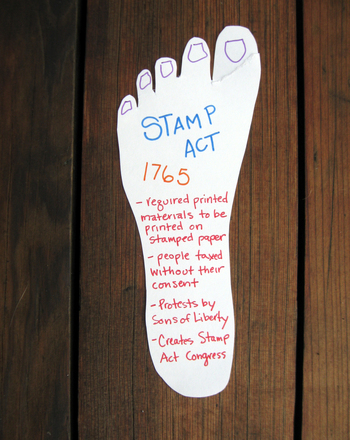 Students will learn what the main symbols of the American flag represent. Display the image of the American flag. Tell your students that the flag is a national symbol that represents the USA. 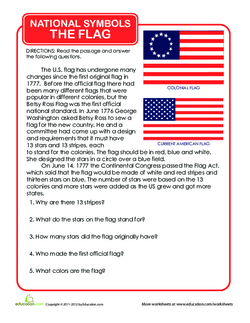 Ask students a few basic questions about the American flag. Some examples are: What's one word you would use to describe the American flag? What do the stars on the flag represent? Display the cover of Stars and Stripes: The Story of the American FlagBy Sarah Thomson. Ask students to make some predictions about the story based on the cover. Read aloud Stars and Stripes: The Story of the American FlagBy Sarah Thomson. Make sure to emphasize sections that explain the symbols on the flag. 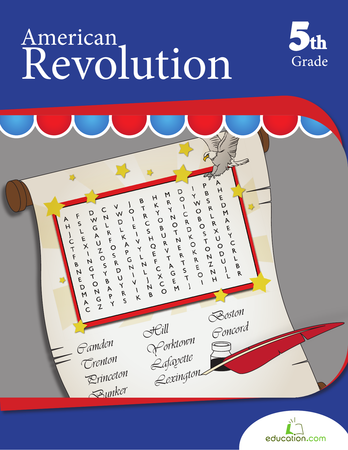 Distribute a History of the American Flag worksheet to each student. Give them about 10 minutes to complete it. Remind them to think about the content of the story while answering the questions, and offer assistance when necessary. Enrichment:Have advanced students summarize what they learned from Stars and Stripes: The Story of the American FlagOn the back of their worksheets. Support:Ask struggling students to answer the three questions on the worksheet that they feel most comfortable with, rather than all five. 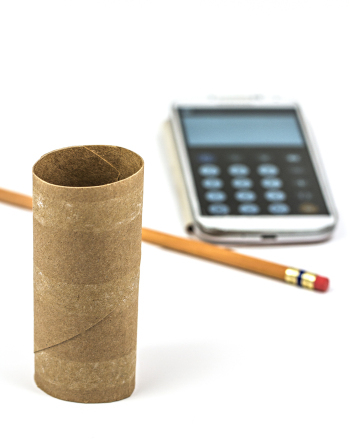 Collect students' worksheets once time is up. Evaluate them later in order to assess overall comprehension of the lesson content. Ask questions one by one, and alternate between groups as you select volunteers to answer. If a volunteer answers incorrectly, allow a student from the next group to answer. Continue until all 10 questions have been answered correctly. Tally up the points and announce the winners. Make sure to congratulate the entire class for being able to answer the questions. This science fair project investigates why the number of visible stars changes from place to place. 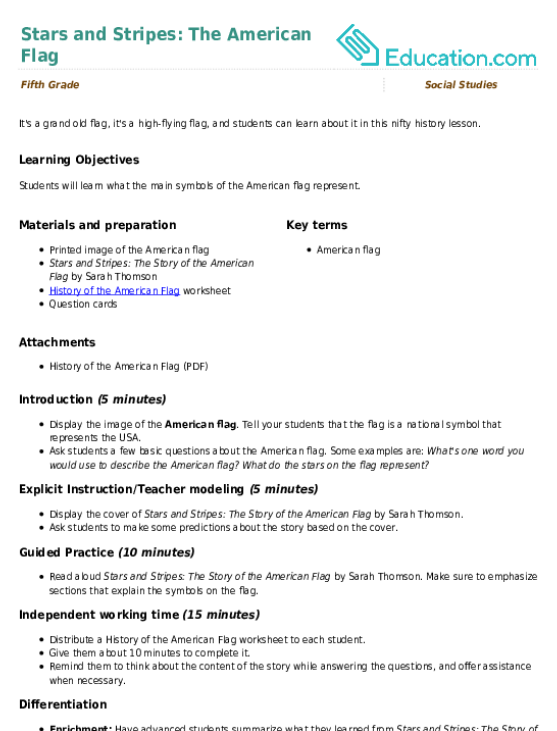 Teach your student a bit about how our country was formed with this worksheet about the Gadsden Flag.